The GNRHS functions through the hard work of volunteers and knows no paid positions. From the GNRHS Board of Directors, to the Goat Staff, to Membership Recruiters to the people who help during our Conventions they're all volunteering their time and energy to make the GNRHS the great historical society that it is. There is always a need for more volunteers to strengthen the ranks, so please let us know when you're interested in helping out. 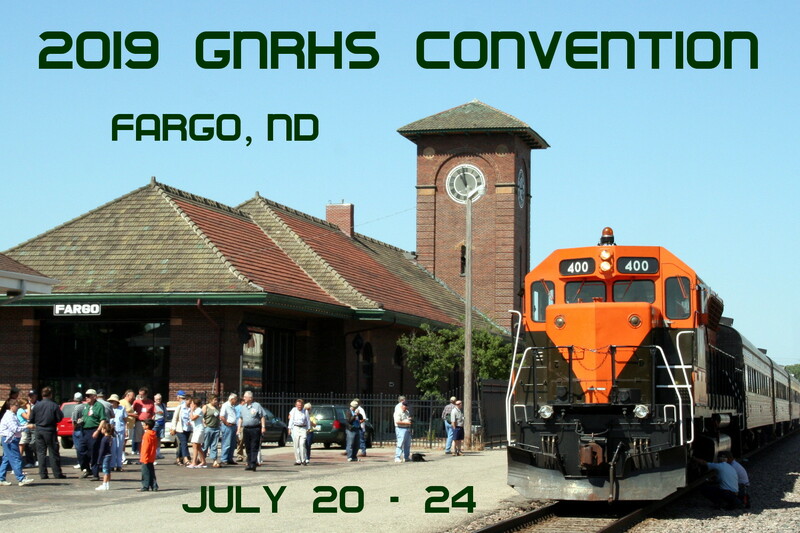 President - Position will be open at the close of the GNRHS Fargo Convention in Summer 2019. The President of the GNRHS is the top officer of the corporation. They are appointed by the Board of Directors for a 2-year term. They are the presiding officer at the annual board meetings as well as presiding over the annual corporate meeting held at the annual convention. They direct the overall affairs of the society and sign all contracts of the Society. A full description of the Presidents responsibilities can be found in the By-Laws as well as in the GNRHS Operating Manual. Goat Managing Editor - Position will be open after the June 2019 Goat publication date. Oversee all efforts within the Publications section in assembling the quarterly publications that includes the GOAT, Reference Sheets and Modelers’ Pages. Coordinate the publications staff, comprised of the Reference Sheet Editor, Layout Editor, Photo Editor and Modelers’ Pages Editor, to ensure the timely completion of the quarterly publications. 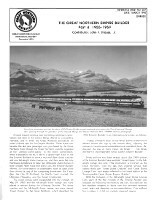 Coordinate with the Archives section for any reference materials required for the publication. 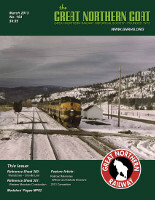 A full description of the Managing Editor's responsibilities and the publication process can be found in the GNRHS Operating Manual. National Convention Officer - Will need to start initial planning of the 2021 Convention soon (in 2018). The National Convention Officer or NCO is responsible for our annual conventions. The GNRHS Board of Directors will suggest possible convention locations for the annual convention. It is the responsibility of the NCO to research as well as visit those location to determine if the locations can host a GNRHS convention. After the board approves the location it is the responsibly of the NCO to negotiate with the hotel a final contract for rooms, meeting facilities as well as the annual banquet. The NCO working with the Treasure manages the convention checking account, paying all appropriate bills related to the convention. A full description of the NCO can be found in the GNRHS Operating Manual. Webmaster - Maintain the GNRHS website and GNRHS Store software. Position open December 2018. The Webmaster is responsible for the design, development and ongoing maintenance of the Society’s website GNRHS.org. This includes the online company store and payment processing software in coordination with the Marketing Officer. Co-Membership Officer - Design and manage recruitment initiatives including train show presence. Is one of two officers responsible for the development of membership recruitment and membership retention for the Society. A full description of the position can be found in the GNRHS Operating Manual. Volunteer Coordinator - Welcome aspiring volunteers and match them up with the correct department within the GNRHS. Peruse all membership applications where the new member has expressed a desire to help the GNRHS in some capacity. This will require coordination with the Membership Secretary. Make contact with these new members to determine their sincerity to help and to determine more specifically what they can do for the GNRHS. Direct those volunteers to an officer(s) who may be able to use their talents or help. Modeling Committee Member - Help run the Modelers’ Pages and new modeling products for the Company Store. The Modeling Committee will prepare the Modelers’ Pages each quarter. 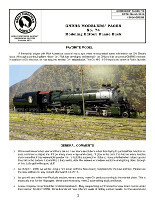 The modelers’ Pages will contain general modeling information, a listing of new products, a modeling project, layout and favorite model photos and a question and answer section. 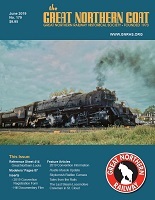 A report of the annual GNRHS convention model display will be included in one issue. 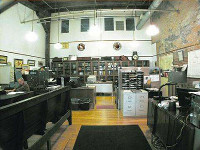 Archive Volunteers - Jackson Street Roundhouse Archives - St. Paul, MN and PNRA Archives, Burien WA - Help in cataloging our large GN Archive holdings. Volunteer to work in cataloging our large historical archives working either in WA or MN. In St. Paul you would work with a staff of dedicated volunteers in cataloging our large files of GN AFE’s as well as our collection of photographs. 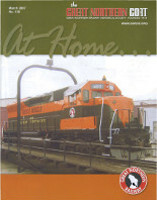 In Burien you again would work with a group of dedicated volunteers cataloging photos and other GN historical documents that pertain to the Pacific Northwest and the GN railway. Contact the GNRHS President, Don McGlothln, to volunteer or if you have questions about any of these positions. We hope to meet you soon as a fellow Volunteer!